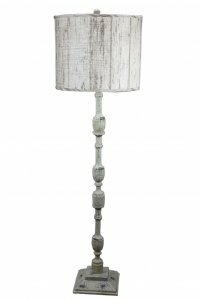 Harlan 60 Floor Lamp with Plank Shade [L809A-U9] : Wholesale Lamps, Shades & Bulbs | AHS Lighting Wholesaler, Value priced accent, floor & table lamps with matching shades! Sign Up for the Advantage Club! Copyright © 2019 AHS Lighting Home & Decor.